This super bright recharchable flashlight from 5.11 Tactical puts out a white light that is excellent for following blood trails. As a hunter, broadcaster, outdoor guy, blogger, videographer and writer one of the fun things that I do is to attend the annual Shot Show. I did a radio broadcast from last year’s show and covered as many of the thousands of exhibitors as I could who offered potentially useful products for an outdoor-oriented audience that might include hunters, fisherman and others who really love their guns, gear, knives, bows, crossbows and related stuffs. I look for innovation, and most especially for those products that are not only new, but are also useful. 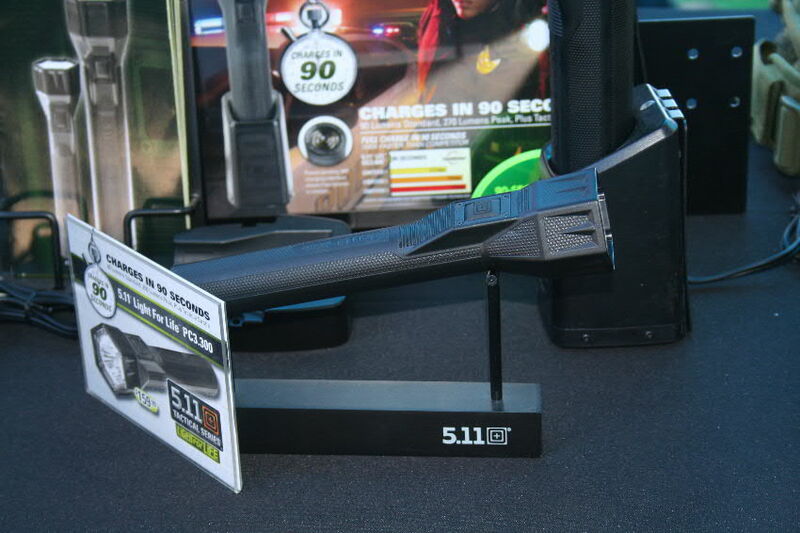 I was attracted to 5.11 Tactical Products by their rechargeable LED flashlight. These were very bright, white lights that I thought would be outstanding for tracking blood trails. I have owned flashlights by the bucketfuls, but these impressed me for their quality, the pure white spectrum of the light and rechargability. Looking around they also had some good quality liner-locked folding knives that could serve hunters very well as well as packs, clothing and law-enforcement-related gear. I am a very hard sell so far as clothing goes. Much of what I use is patched up and may be decades old. I did appreciate the design, use of rip-stop fabrics and even found a dark green forest color that I thought I could wear when I hunted. I was impressed enough to feature them on my 2011 broadcast on “Hovey’s Outdoor Adventures,” and to form an affiliate relationship with them to help promote what I think is an excellent line of products. A link to their web page and some of their recent promotional materials appears below. Shop Top Law Enforcement Gear from 5.11! Free Shipping on All Orders of Only $75 or More! American Flag Patch w/Orders of $50 or More with Code FREEFLAG (Limit 1 per order, while supplies last. Approved hunting, game processing and cooking products.